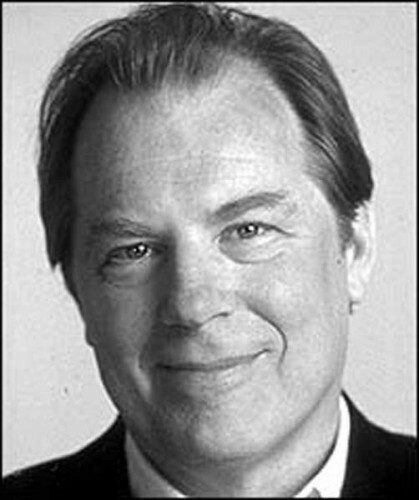 Michael McKean Plays J.Eager Hoover. Appropriately he previously played Squiggy in Laverne and Shirley among other roles. 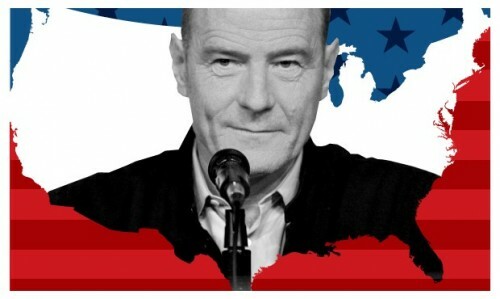 Cast: Bryan Cranston (LBJ), Brandon J. Dirden (Martin Luther King), Michael McKean (J. Edgar Hoover), Reed Birney (Hubert Humphrey), Dakin Matthews (Sen. Richard Russell), Barnie Burton (Robert McNamara), Betsy Aidem (Lady Bird Johnson), Eric Lenox Abrams (Bob Moses), Peter Jay Fernandez (Roy Wilkins), Crystal Dickinson (Coretta Scott King), Susannah Schulman (Lurleen Wallace), William Jackson Harper ( Stockley Carmichael), Christopher Liam Moore (Walter Jenkins), Ethan Phillips (Stanley Levison), Dan Butler (George Wallace), J. Bernard Calloway (Ralph Abernathy), and Richard Poe (Judge Smith). Creative: Christopher Acebo (Set Design), Deborah M. Dryden (Costume Design), Jane Cox (Lighting Design), Paul James Pendergast (Original Music and Sound Design) and Shawn Sagady (Video Projection Design). All The Way is three hours and fifteen minutes long with one intermission. Commencing immediately after the tragedy in Dallas, All the Way at the American Repertory Theatre is a very Shakespearean drama about President Lyndon Johnson’s first year in office after the death of John F. Kennedy. When an assassin’s bullet propels Lyndon Baines Johnson into the presidency in 1963, he takes on the pain and politics of replacing an American icon, facing an election year and working with a very fragile America both socially and politically. With a brilliant portrayal of Lyndon Johnson by Bryan Cranston in the leading role, a stellar cast brings to life the politics and politicians of the mid-60s. 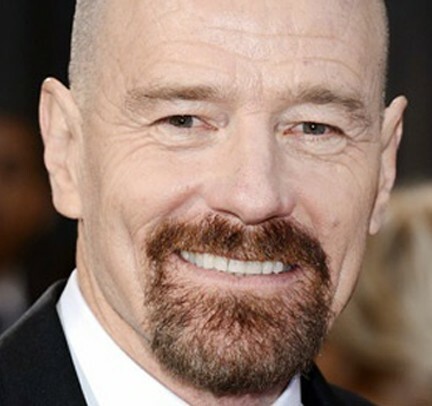 Cranston (Emmy Award Winning Breaking Bad star) may just be our own American Daniel Day-Lewis. Cranston captures the nuanced rhythms and textures of the former Texas senator and Senate Majority Leader. Johnson is a figure of immense ambition and large appetites. Both equal parts politically charismatic and as well as personally repellant (he is charming as well as intimidating), the conflicted Texan hurls himself into the Civil Rights Act of 1964 and his own re-election. The Civil Rights Act was a tinderbox civic issue that resonated as a progressive advance or retreat in a widely divided America. His re-election is the historic determination of his accidental presidency. This is an eloquent yet visceral drama. Here, we witness history, warts and all. This play is the Pulitzer Prize–winning playwright’s vivid dramatization of LBJ’s turbulent first year in office. It is a poignant portrait of how means versus ends plays out. LBJ used his amazing ability of persuasion, both moral and otherwise, to convince, contrive and concoct ways to stage manage consequential social and very human legislation. In many ways, this is a Mid-Century morality play. The story starts with LBJ's adjustment to being President the day after Kennedy's murder. He immediately focuses upon the fermenting Civil Rights movement and issues of various governmental layers of institutional racism. The murders of the three young civil rights activists in Mississippi bring immediate focus to racial divide and even criminal behavior. 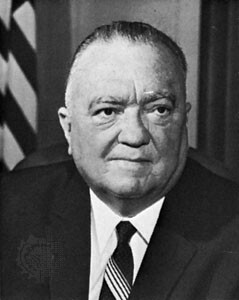 This is seen in Johnson's conversations with the reluctant governor of Missippi to deal with the crisis and J. Edgar Hoover's personal disregard for the FBI's involvement in finding the perpetrators. 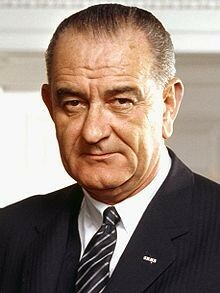 LBJ uses both men's prejudices against them to get things done. 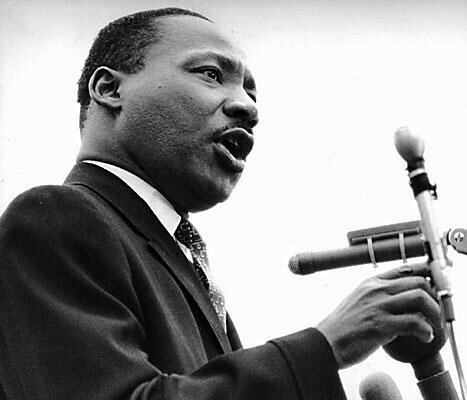 The impending Civil Rights legislation is viewed from various perspectives. The first is from LBJ's desk in the Oval Office; the second is from the NCAA/SNCC and other activists involved and lead symbolically by Martin Luther King; and the third is from the point of view of key Southern Democratic legislators like Senator Russell and Virginia conservative Democratic congressman Judge Smith. The individual self-interest and political ramifications are skillfully described by conversations and dialogue. While this discourse is occuring, Johnson is dealing with his upcoming nomination and election. 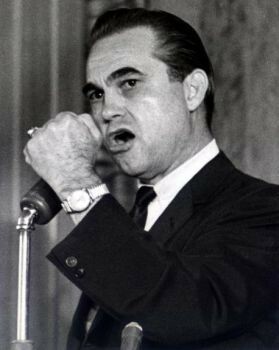 In his own party is the racist and antigovernment attitudes of Alabama's Governor George Wallace. 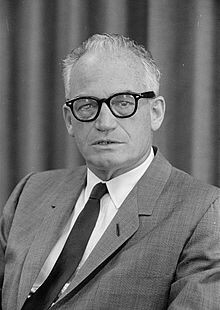 On the Republican Party opposition side, it is ichy fingered to use nuclear bombs and far right wing, libertarian Arizona Senator Barry Goldwater. Goldwater will be LBJ's opponent in the general ellection. Not far away, the problems of the escalating Viet Nam War are pending. Former Ford executive Robert McNamara is the uberefficient Secretary of Defense that unclearly, but arrogantly, is giving LBJ information so he can make decisions regarding the war that proves to be disasterous in the future. 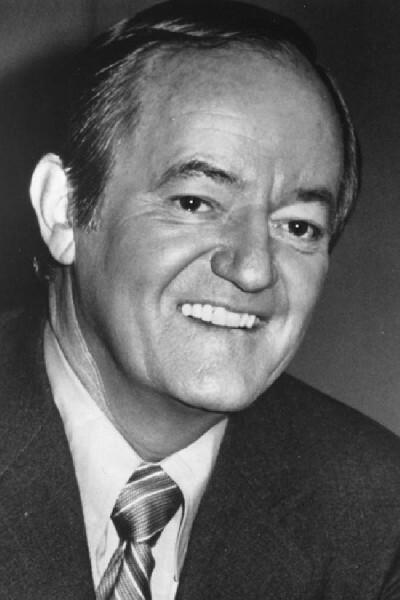 Lyndon uses liberal Minnesota Democrat Senator Hubert Humphrey to act as designated stage manager to assist with Civil Rights legislation. LBJ promises him the Vice Presidency on his ticket if he gets things to go well. Humphrey runs into problems with the Civil Rights Bill (voting rights was left out) and the seating of an integrated Mississippi delegation to the 1968 Democratic Convention. Through Johnson's armtwisting and Hubert's compromising efforts, things were resolved. 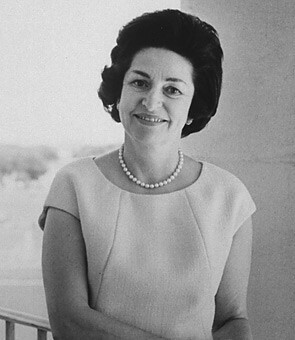 Eventually, the Civil Rights Act of 1964 was passed, and the Johnson/Humphrey ticket was overwhelmingly elected. And all of this political talk and back and forth is skillfully done with pace, rhythm and poetic tools by Playwright Schenkkan. These tools include ambiguity, symbolism and irony. Added to this are wonderful character portrayals. Besides Mr. Cranston's great performance, Brandon Dirden's Martin Luther King is spot on. Michael McKean's Hoover is beautifully unreliable and devious. 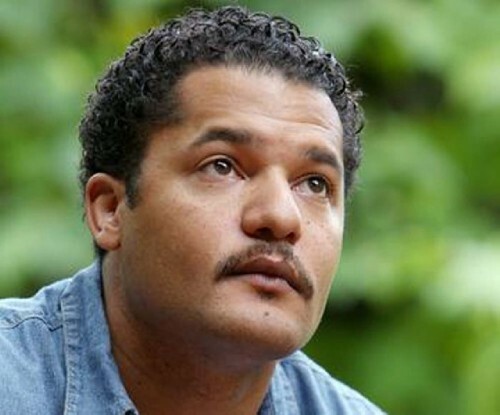 Other standouts are Reed Birney's ernest Hubert H. Humphrey, Crystal Dickinson's sympathetic Coretta Scott King, Dakin Matthews' very well mannered Sen. Richard Russell and Richard Poe's rather greedy Judge Smith. Consistent with every other A.R.T. production, All The Way's stagecraft is superb. Christopher Acebo's set design establishes sense of place and authority while Deborah M. Dryden's costume designs clothe the period perfectly. Jane Cox's lighting uses the space and furnshings to convey both place and abstract thought. Shawn Sagady's video projections allow a visual memory and timeframe to envelop the play. This is powerful theatre, a bravura drama whose sum is greater than its many magnificent parts. There are many gifted individuals involved in all aspects of this production. This is great theatre. All The Way is part of our individual and collective American heritage. It is a 50-year-old story of where we were and where we came. It reveals the very nature of the political process, a process a bit like making sausages. It often is not very pretty, but the results can be delicious. As this show is completely sold out, new audiences will have to wait until it is likely presented on Broadway in the future.